This is guide, howto install Adobe Flash Player Plugin version 32 (32-bit and 64-bit) with YUM/DNF on Fedora 29/28/27/26/25, CentOS 7.5/6.10 and Red Hat (RHEL) 7.5/6.10. Using Adobe’s own YUM repository it is very easy also keep up-to-date with Flash Player Plugin. 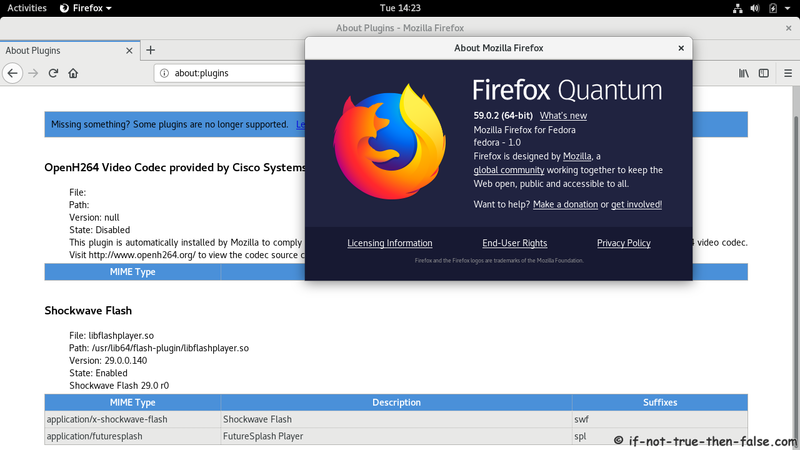 Finally up-to-date Adobe Flash Player is available for Linux users. On Google Chrome you have to enable Flash from Settings -> Advanced -> Content settings -> Flash -> Ask First then you have allow/block sites or manually click every flash items.